This is Jon's most used dress in the show, which means the Night's Watch uniform. 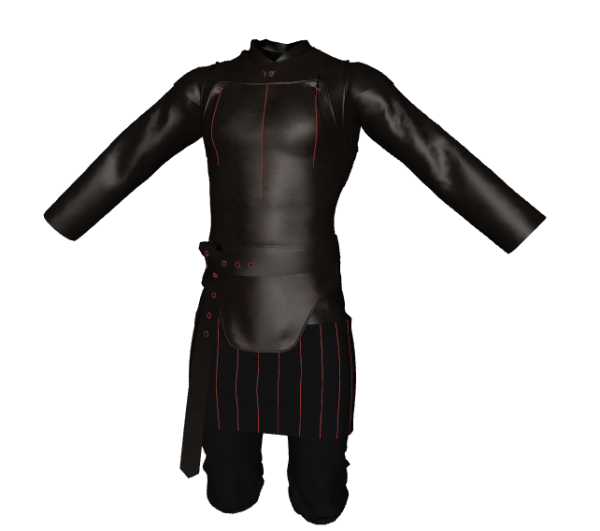 There's the basic garment, leather armour and cloak. Since MD doesn't grow fur, to create it you need a program which does so - Poser does, for example - and grow hair over the pattern called 'fur'. To complete the dress, there should be high leather boots, sword and gloves.